Elevate the beloved hors d’oeuvres with a crowd-pleasing black olive tapenade that is as delicious as it is versatile. Accompany the zesty spread with romaine lettuce and mozzarella for a mild and sweet treat, or try arugula and sharp cheddar for an instant punch of flavour on your taste buds. Preheat oven to 350ºF/175ºC. Place baguette slices on a large baking sheet and bake until golden, approximately 10 minutes. Add sliced cheddar to slices and place in oven. Place a cucumber slice or lettuce leaf on each baguette slice, once melted. 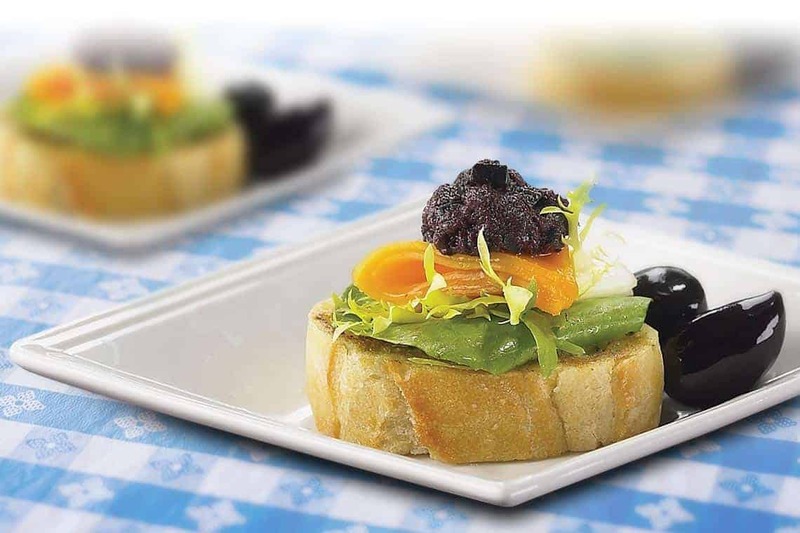 Spread a dollop of black olive tapenade on baguette.